“Now in its tenth year, our One Maryland One Book program brings diverse groups of Marylanders together in thoughtful discussion of the same book. Purple Hibiscus—a powerful coming-of-age novel that explores this year’s theme of home and belonging, along with resonant themes like faith, family, and freedom—will no doubt spark illuminating conversations throughout Maryland,” said Maryland Humanities Executive Director Phoebe Stein. Fifteen-year-old Kambili and her older brother Jaja lead a privileged life in Enugu, Nigeria. They live in beautiful house, with a caring family, and attend an exclusive missionary school. They’re completely shielded from the troubles of the world. Yet, as Kambili reveals in her tender-voiced account, things are less perfect than they appear. Although her Papa is generous and well respected, he is fanatically religious and tyrannical at home—a home that is silent and suffocating. As the country begins to fall apart under a military coup, Kambili and Jaja are sent to their aunt, a university professor outside the city, where they discover a life beyond the confines of their father’s authority. Books cram the shelves, curry and nutmeg permeate the air, and their cousins’ laughter rings throughout the house. When they return home, tensions within the family escalate, and Kambili must find the strength to keep her loved ones together. Purple Hibiscus is an exquisite novel about the emotional turmoil of adolescence, the powerful bonds of family, and the bright promise of freedom. Nigerian writer Chimamanda Ngozi Adichie is the leading African writer of her generation. She grew up on the campus of the University of Nigeria, Nsukka, and left Nigeria for the U.S. at the age of 19. Among her many accolades, Ms. Adichie has been awarded a Hodder fellowship at Princeton University (2005-2006) and a fellowship at the Radcliffe Institute of Harvard University (2011-2012). In 2008, Ms. Adichie earned a coveted MacArthur Genius Award. Ms. Adichie’s work is read around the world, and has been translated into over thirty languages. Her first novel Purple Hibiscus won the Commonwealth Writers’ Prize, and her second novel, Half of a Yellow Sun, won the Orange Prize (now the Bailey’s Women’s Prize), which is the world’s top prize for female writers. Her 2013 novel Americanah has received numerous accolades, including the US National Book Critics Circle Award. It was named one of The New York Times Top Ten Best Books of the Year. Ms. Adichie has been invited to speak around the world. Most notably her 2009 TED Talk, The Danger of A Single Story, is now one of the top ten most-viewed TED Talks of all time, with over five millions views. Her 2012 TED talk, We Should All Be Feminists, has a started a worldwide conversation about feminism, especially after it inspired a song by Beyoncé. It was published as a book in 2014. When we read a great book, we can’t wait to share the experience and talk about it with others. That’s one of the joys of reading. 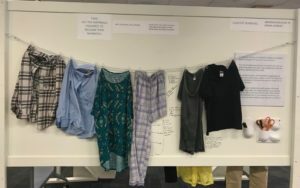 In that spirit, through its Maryland Center for the Book program, Maryland Humanities created One Maryland One Book (OMOB) to bring together diverse people in communities across the state through the shared experience of reading the same book. We invite readers to participate in book-centered discussions and related programs at public libraries, high schools, colleges, museums, bookstores, and community and senior centers around the state. OMOB programs, including an author tour, take place each year in the fall. A calendar of free public events will be available online this summer. Want to discuss the book now or get updates on upcoming events? 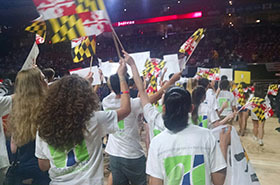 Join the conversation on the Maryland Center for the Book page. One Maryland One Book programming is sponsored by the Institute of Museum & Library Services via LSTA grant funds received from the Division of Library Development & Services at the Maryland State Department of Education. Additional support is provided by PNC Foundation, Baltimore City Foundation, BGE, Wells Fargo, and M&T Bank. 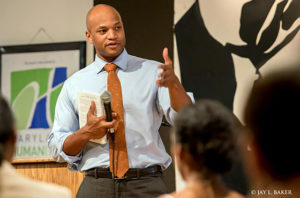 For more information, visit https://www.mdhumanities.org/programs/one-maryland-one-book/ or call (410) 685-0095. 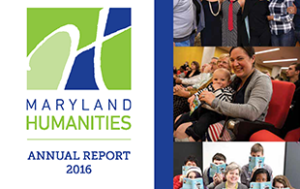 Maryland Humanities is a statewide, educational nonprofit organization that creates and supports educational experiences in the humanities that inspire all Marylanders to embrace lifelong learning, exchange ideas openly, and enrich their communities. For more information, visit www.mdhumanities.org. Maryland Humanities is generously supported by the National Endowment for the Humanities, the State of Maryland, private foundations, corporations, small businesses, and individual donors.